Sinn Fein could be facing a damaging split over its internal party management, according to reports. A number of rows and expulsions in recent months has seen some members already link up in a potential new national structure. Meetings of those angry at the party over alleged bullying, control and marginalisation are believed to be already underway. Between 30 and 40 people are said to have turned up at one meeting in Waterford to share grievances. 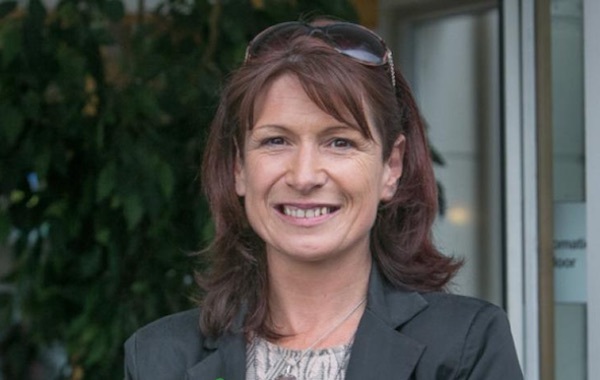 The meeting, organised by Melissa O’Neill (pictured), a councillor who was expelled from Sinn Fein last December, agreed to form ‘support hubs’ in towns around the country. Meetings have been planned in Athlone, Tipperary and Limerick. The prospect of setting up a rival republican party to Sinn Fein was not ruled out, according to Ms O’Neill. She said dozens of members and former members attended who felt disrespected or disenfranchised from the party. There have long been accusations of a clique in the Sinn Fein leadership expelling or marginalising individual activists using a tactic known as “the big shaft”. Management processes have been described as dictatorial and intimidating, with the goal of isolating and removing any potential challenge or dissent. There have been not yet been allegations of a political motivation, but some have drawn comparisons to the Provisional IRA’s so-called “nutting squad”, which maintained PIRA discipline during the conflict. Last month, three Wicklow councillors were expelled from Sinn Fein after they challenged the party in a dispute over internal leadership roles. Lisa Marie Sheehy, who was Sinn Fein’s youngest councillor, also resigned from the party last month, claiming she had been “undermined, bullied and humiliated”. Sinn Fein has repeatedly denied that there is a culture of bullying within the party. But internal disputes which previously took place behind closed doors have become more public. Sinn Fein housing spokesperson Eoin O Broin denied there was a culture of bullying within the party. He said there were “some people who went into the role of elected representatives and found it was much more difficult that they originally thought,” he said. But one councillor who left the party in County Cork said that the party had been routinely trying to replace established party figures with more biddable people. Cork East councillor June Murphy said the “reason they pick them so young is because they’re perfect for grooming”. Melissa O’Neill claimed she was aware of hundreds of Sinn Fein people, young and old, who are not happy with the party structures but were fearful of speaking out. Tara Reynor O’Grady, a human rights campaigner who was expelled from Sinn Fein in June, said people felt “emancipated” as a result of the meeting. “There was a sense of encouragement, and a tremendous conviction that they were justified in their grievance,” she said. The management and control problems have been picked on by Sinn Fein’s opponents recently as a reason to rule out the possibility of a coalition with the party. Fianna Fail leader Micheal Martin has described Sinn Fein as “a cult”, while Fine Gael leader Leo Varadkar suggested Sinn Fein politicians were only allowed to deliver pre-prepared texts in parliament. The party is expected to address the matter at its Ard Fheis [annual conference] in November.